Retired Brig. Gen. Donald C. Bolduc served as commander of the U.S. Army's Special Operations Command Africa from April 2015 to June 2017. Africa will soon be home to a quarter of the world's population. Unfortunately, the pace of economic development will not sustain its rapid population growth and will exacerbate already high rates of unemployment and poverty, which are key drivers of instability. That instability is already a problem with ramifications not only for our African partners but also for international allies, U.S. interests and our homeland. 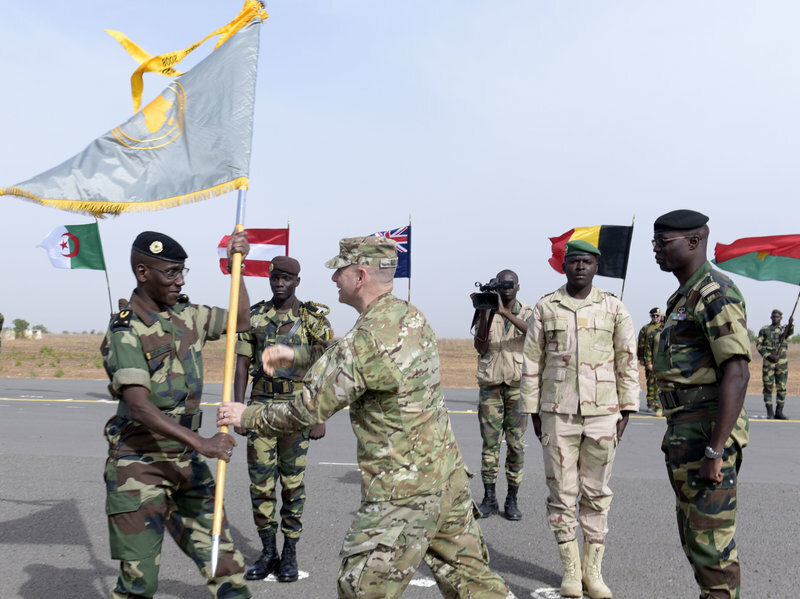 The tragic events in Niger last October — an ambush by ISIS-affiliated fighters that claimed the lives of four U.S. soldiers and four of the West African country's troops and an interpreter — brought attention to the U.S. presence in Africa. 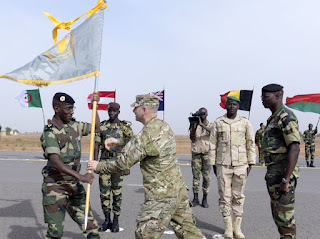 What needs better explaining is why it is necessary for U.S. diplomatic, military and other government agencies to provide support to our partners on the continent. U.S. policymakers and senior leaders in the military and State Department have known for decades that Africa is a nexus of extremist groups, criminal networks and illicit trafficking, yet the government has inadequately addressed the root causes of instability in parts of Africa. The continent hosts 54 countries with over 1.2 billion people from more than 800 ethnic groups speaking as many as 2,000 languages. Many areas in the region have poor local governance and lack enough education, development and job opportunities for their growing youth populations. African governments not only must prepare for significant population growth but also face more immediate concerns ranging from resource competition, climate change and pandemic disease to violent conflict and terrorism. The U.S. has failed to establish a comprehensive strategy for Africa necessary to disrupt, degrade and neutralize violent extremist organizations there, improve local governance and set conditions for socioeconomic development. North Africa is likely to become more unstable, owing to political instability in the region as well as the potential return of fighters who have fought wars in Iraq and Syria. Late March 2017 testimony before the House of Representatives by J. Peter Pham, director of the Atlantic Council's Africa Center, indicated that al-Qaida and Islamic State affiliates in North Africa are "poised to wreak considerable havoc across the continent as they seek to regroup in the ungoverned spaces of the Sahel, threatening not only the countries immediately impacted, but also affecting the interests and security of the United States and its allies across the region." Since 2010, extremist groups in Africa have been some of the most lethal on the planet. In eastern Africa, al-Shabab has exploited weak governance in Somalia and waged more than 2,000 terrorist attacks there and in Kenya, Djibouti, Uganda and Ethiopia. Al-Shabab has contributed not only to foreign fighter flows elsewhere but also to trafficking in persons, narcotics and illicit goods, as well as piracy. Central Africa is the most volatile and remote region in the world, characterized by scant security forces, human rights violations, corruption and government mismanagement, which create an environment conducive to insurgent activities, coups and mass atrocities. The Lord's Resistance Army is responsible for over 1,800 attacks in the region. In western Africa, ineffective governance and socioeconomic disparity created the environment that gave rise to Boko Haram, ISIS-West Africa and al-Qaida in the Islamic Maghreb. Boko Haram has launched over 1,000 terrorist attacks in Nigeria, Niger, Chad and Cameroon. Al-Qaida pulled off hundreds of other attacks in Mali. In northern Africa, the Islamic State gained a foothold in post-civil war Libya and achieved 294 attacks there and in the nascent democratic Tunisia in 2015-2016. Extremists have offered disaffected people an identity through participation in jihad, have provided goods and services and even established harsh rule of law where there is little competing governance. As a result, rising numbers of terrorist networks are now operating in Africa. Ten of the groups the State Department has listed as terrorist organizations since 2013 are active on the continent, underscoring the seriousness of the threat. Both al-Qaida and the Islamic State have openly stated aspirations to gain control over large portions of the continent and incorporate them into their caliphates. ISIS's and al-Qaida's efforts in the Sahel region along a tri-border area of Mali, Burkina Faso and Niger reflect part of that long-term vision. Both extremist organizations have capitalized on dysfunctional governments and vulnerable societies, integrated with disenfranchised tribal and ethnic populations. As a result, they have launched effective operations against our African partners. The U.S. response, meanwhile, has been slow, inadequate and ineffective. One factor that has hobbled the U.S. approach is the Africa experience gap both at the State Department and in the military. In some cases, subordinate and tactical officers have had a better understanding of the operational environment than their superiors. If the United States is going to place combatants there, it needs to invest in developing the regional senior military leaders and manage talent properly. The lack of expertise increases risk aversion and slows planning, decisions, analysis and execution tempo. Another issue has to do with underresourcing. The U.S. military gives some of its officers dual roles at Europe and Africa Command. That can create a problem for priorities, competition of resources and timeliness of support that negatively affects AFRICOM. However, initiatives should focus not only on countering violent extremists but also building security capabilities of African partner nations and fostering long-term solutions through diplomatic and other agencies. While military forces will play a significant role, they are not the solution. The international community and the U.S. government will need to support development of national and local governance in Africa's conflict-affected regions. Current kinetic and threat-focused approaches are not working, and the lack of a comprehensive approach has only supported violent extremists' objectives. Socioeconomic development will be critical to inhibiting the activity and influences of extremist groups on the populace. Studies indicate that rather than ideology, unemployment rates are a more predictable driving factor for support for terrorism in countries like Nigeria, where Boko Haram is waging a deadly insurgency. Analysts also suggest a correlation between the presence of U.S. Agency for International Development programs and lower levels of support for violent extremism. Civil administration is also vital for enabling enduring security. Local police are an essential link in maintaining local security to protect the populace. They can help legitimize the government and allow for the establishment of government services and assistance from agencies and nongovernmental organizations to address education, health and humanitarian assistance in the region. We are on a timeline of about 10 to 15 years to get this right. Failure to do so will have significant impact on stability in Africa and negatively impact Europe, the Middle East, South America and North America, as well as coastal security in a number of regions. Over the years we have witnessed the devastation at the hands of extremist ideologies. This violence will pale in comparison with the devastation brought on by competition for resources and day-to-day survival in an unstable environment. An unstable Africa is not in the best interest of global stability.